A dinglehopper is a girl's best friend, according to The Little Mermaid. Ariel is featured here on a glass bubble that lights up to reveal her loyal advisor, Sabastian. 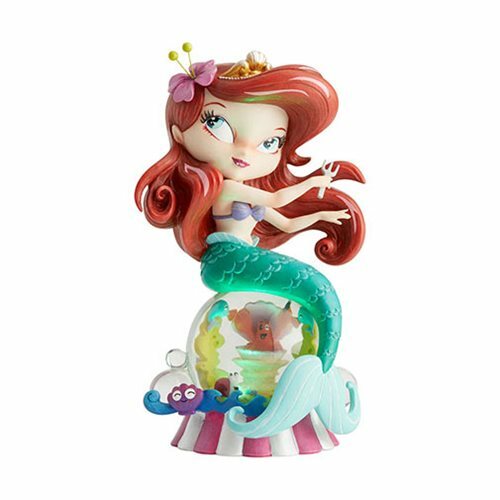 Designed by the inimitable Miss Mindy, the Disney The World of Miss Mindy Little Mermaid Ariel Statue is battery operated and requires 3x "LR44" batteries, included. Measuring about 9 2/5-inches tall, it's made of polyresin and calcium carbonate.